Nice archit, you could just do some better color finishing, and changed the alloys! i got a civic too! Cyrus, the intercooler is placed open to the outside world. That will attract more dust and dirt if used in our Indian Conditions. The dirty water splashed by the rear wheels of the car ahead of this civic will also block the vents of the intercooler with its dirt. 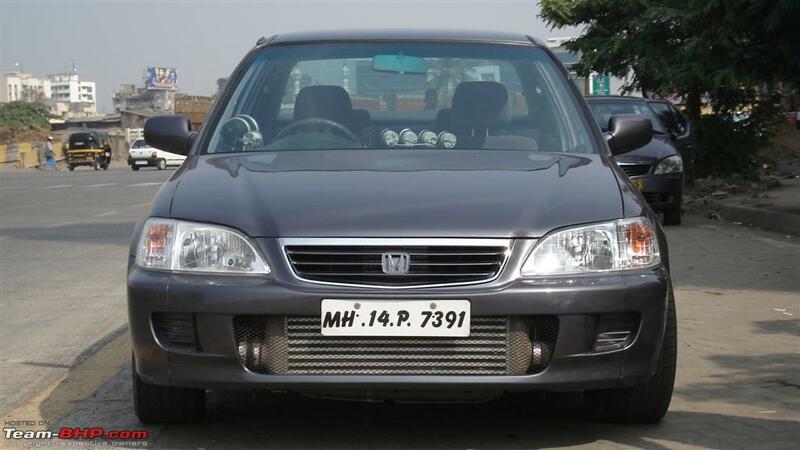 The intercooler must be placed such that it provides the engine with COOLER Air but should not get blocked by Dust, Dirt and Dirty Water. Archit, What the hell have you done to the bumper?? Please Please change it!!! 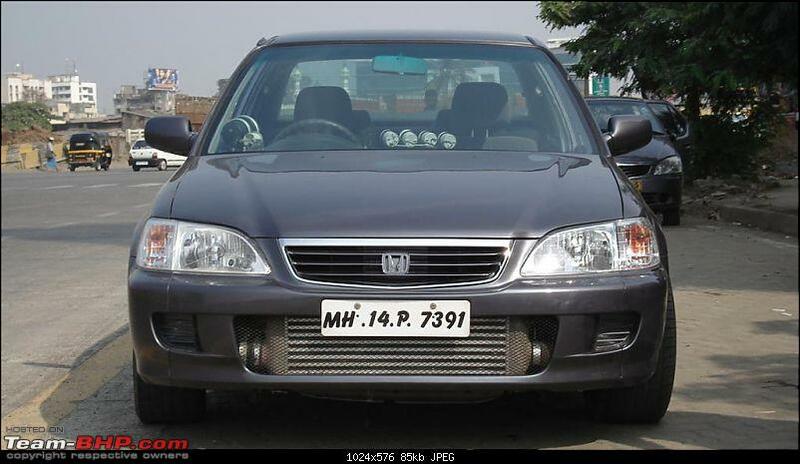 This is on of India's Fastest Honda City at just over 350 Horse Power....Go Figure!! Nice archit, although the civic is a complete disaster! Hey Cyrus, even I have a few modded pics but i can't upload them, can you help me out? It's snowing in the summer!! In this punto, i have made a triple tone paint in the abarth bottom. I've changed the bumpers, radiator grille, opened the window and new wheels. In this brooklands, i've put an evo x bumper, bmw foglamps and added a dual tone bumper effect. And also, there is a mitsubishi logo on the top right. Please help me post bigger images! Open www.imageshack.us. Browse to your image. Select the Resize to 640X480 check-box and then click Start Upload. On next page you will get the Direct Link. Copy it in the image tags. BTW, very nice pictures Sparsh. Cyrus, Is that City really over 350BHP? dude how many times shall i tell you that my name is Sparsh OMIT THE Q!!! I know it. See my older posts. But why did you add that Q at the end? Does your surname start with Q? No, couldn't find the username sparsh, so i added a q to make a simple and straight name! BTW, How are the pics? I think you have not read last second line of my post which I posted at 11:14am Today. Direct Link. Copy it in the image tags. BTW' date=' very nice pictures Sparsh. Cyrus' date=' Is that City really over 350BHP? well remember that Land Cruiser i posted before? well this slightly changed than that! My Take on the Same LandCruiser. well cyrus you dont need to compare with me! HeHe!! Dont Worry Archit. You shall improve soon with Practice. This was the First Chop that i ever did BTW!! See Below!! And here is the NANO with a Carbon Fibre Bonet. even though that is your first chop it is mind blowing! were you born with this talent?